More and more people deal with hair loss, and it can be very hard to deal with a problem like this. Our day to day life is full of stress, and our diet is not that healthy. All these little things add up, and they bring in serious health issues in the long run. One of the problems is certainly hair loss. As you age, you experience a greater degree of hair loss. On top of that, you may also have psoriasis or a variety of other hair problems. All these things do add up, and it is better to deal with them sooner rather than later. Are there any medical treatments to help contain hair-loss and regrow hair? There are medical treatments, but most of them offer hyped promises and are ineffective. In addition, many of these have unwanted side effects, such as kidney or renal problems, among many others. You can also go with intrusive hair transplant procedures, however these procedures are very expensive and requires sufficient amount of existing hairs at the back of your scalp. Essentially, you are not growing new hairs, you are just transplanting your existing hair roots from one place to another. If you are looking for an effective Hair Regrowth solution that really works and does not have the serious side effects offered by the medical solutions, then you may be interested in learning more about iRestore Laser Hair Growth System. Continue reading our iRestore Laser system review to learn more about its design, features, benefits, pricing, side-effects, alternatives and how-to-use instructions. The iRestore Laser is a FDA-cleared medical device that uses clinical-strength laser technology to treat hair loss and thinning hair for men and women of all ages above 18. It uses non-invasive, pain-free red light therapy to stimulate rapid growth of thicker, fuller, and healthier hair. It’s a GMP certified product, and that means you won’t need to worry about side effects. In fact, it’s a clinically studied product, and it delivers a wonderful hair regrowth approach that’s designed to be reliable, convenient and suitable for any situation. You can use the product on its own, or you can combine it with a variety of other hair restoration treatments. The iRestore Laser Hair Growth System comes with the user manual, AC adapter, and a controller. 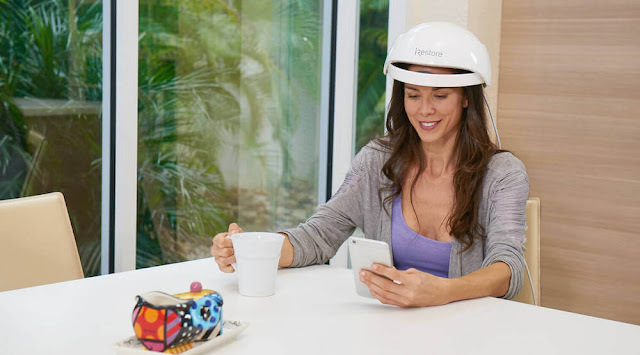 The dome is created from durable plastic, and the headband is adjustable, which means you can keep the dome securely during your treatment. Within the dome itself you have 30 LED lights as well as 21 lasers. These are all combining to stimulate your scalp to increase hair growth naturally. The dome has ample amount of cushion and hence offers better comfort during treatment. 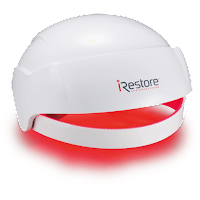 FDA-CLEARED HAIR GROWTH SYSTEM: The iRestore is a FDA-cleared medical device that uses clinical-strength laser technology to treat hair loss and thinning hair for men and women of all ages (18+). It uses non-invasive, pain-free red light therapy to stimulate rapid growth of thicker, fuller, and healthier hair. SCIENTIFICALLY PROVEN TECHNOLOGY: The light energy is absorbed by hair follicles to enhance cell metabolism rate and increase energy production. This biochemical process extends the growth phase of the hair growth cycle and reactivates dormant hairs to combat receding hairline, balding, and thinning hair. Watch the video as Dr. Larsen explains how low-level light therapy works. SAFE AND EFFORTLESS TREATMENTS AT HOME: iRestore is engineered to be lightweight, comfortable, and durable. The hands-free design allows you to go about your day uninterrupted, so you can save time and focus on the important things in your life. iRestore provides a safe, drug-free way to experience hair regrowth without the frustration of negative side effects. Although individual results may vary, you can expect to see visible growth in as little as 3 to 6 months. The way you use the iRestore Laser Hair Growth System is simple. You put it on your head and then connect it to an electricity source. It will take around 25 minutes per treatment and it does switch off automatically when the treatment is complete. Currently, there’s no way to adjust the treatment time and you must use it for 25 minutes each day. If you’re a really busy person, that it could be a challenge. But the nice thing about it is that you can continue with your other work or tasks as you wear it, so you don't have to devote your time solely to the treatment. During the treatment, we did not experience any pain. Of course, it will take many weeks or even months see any visible results, so you do need keep patience and continue the treatment to achieve long-term results. Both women and men can benefit from it. In regards to when you can use the iRestore Laser Hair Growth System, it usually great for people who are experiencing thinning of hair, alopecia and so on. Patients with receding hairlines can also benefit from this product. There many factors that can contribute to hair loss, such as coronary heart disease, prostate issues, insulin resistance and even obesity. iRestore Laser Hair Growth System can help you restore your hair lost due to some of these situations. At around $695, the iRestore Laser Hair Growth System is not exactly cheap. But it does provide you with all the stuff you need to increase hair growth naturally. You will notice great improvements especially if you have thinning hair. And the fact that just about anyone can use this product makes it much more rewarding and interesting. Granted, it does take some time to get used to it. While it’s user-friendly, you will not have a great time finding this and figuring out all the options. But as a whole, it’s definitely worth it, and you should check it out if possible. Although as we mentioned earlier, you do need to find some adjacent options to make this work the way you want. It delivers good results on its own. However, if you use other hair growth products, this will not have any major problems with it. And in the end it certainly helps to have this assortment and idea as you start using the product. Once you get into using it, you will be more than happy with the way everything works and how valuable and reliable then product can be. The iRestore store is very popular online, it has the product itself as well as numerous accessories and products. It also features the iRestore laser coupon and a variety of iRestore laser discount options. You can easily get a really good price when you acquire the system, and it’s safe to say that you will have a wonderful deal all the time if you use this right. In addition, the store also has secure purchasing, free US shipping and you can even get your money back if there are any problems. So they do provide you with all the benefits you need in this package. • You don’t have an option to adjust treatment length. In summary, the iRestore Laser Hair Growth System is a great product that you will enjoy using because it’s reliable, convenient and with proven results. You can certainly consider giving it a try. Since the product has 51 medical-grade lasers and red luminous LEDs, it might seem scary for some people. But you don’t have to worry. 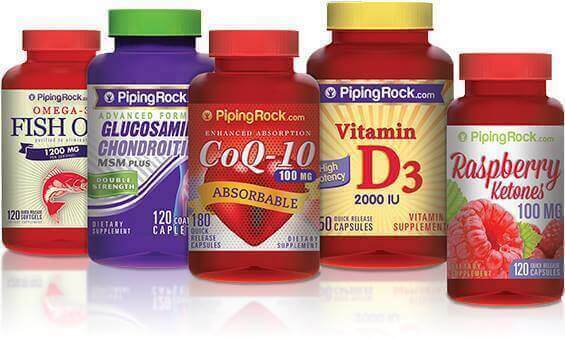 As we mentioned earlier, the product is approved by the FDA, and it doesn’t bring in any health concerns. It’s a very good idea to see whether it works for you or not, but it does provide all the features you need and it works consistently, which means you do need to at least test it on your own. The other problem with iRestore Laser Hair Growth System is that it may not be very durable, since helmet is made out of plastic. You may crack it by accidently dropping it to the floor. You need to handle it carefully and take a good care of it. When it comes to warranty, the iRestore Laser Hair Growth System has 1 year of manufacturer warranty. Some re-sellers might add a bit more time to that, but if you buy directly from the iRestore website, one year is what you will get. 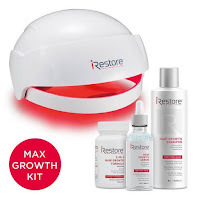 The iRestore MAX Growth Kit is the same as the regular hair growth system, however it does come with a few additions. That’s why you have to pay $80 more because you get a 3 in 1 hair growth formula, as well as an anti-hair-loss serum and a dedicated shampoo that prevents hair loss. You can get the iRestore MAX Growth Kit from the iRestore store, and there’s even an iRestore discount code that you can use, not to mention that there are price reductions too. Selecting a bundle is great because you get to save money. The iRestore MAX Growth Kit can be a one-time purchase and you can also choose to pay a bit more to acquire the 3 separate products to last up to 3 or 6 months if you want. When it comes to the performance of these products, it’s important to note that we like the hair loss shampoo a lot. It looks amazing, it feels great, and you will be very happy with the way it works. There’s a huge attention to detail when it comes to the value you get, and it also works incredibly well for men and women alike. The serum is very easy to apply and we liked that a lot too. As for the 3 in 1 hair growth formula, the product is focused on boosting the hair strength, and it doesn’t damage your hair in any way. If anything, it strengthens it which is very good. Shop for iRestore Laser Hair Growth System today and get $100 Off and Free Shipping on your order on iRestoreLaser! Click below to use the iRestore Laser coupon code offered exclusively by Sparing Money! All in all, we found the iRestore MAX Growth Kit and the iRestore laser hair growth system to be a great package. At around $700 you rarely find a good hair growth system that actually works very well. And while it certainly takes a bit of time and effort to get this done the right way, it’s safe to say that the experience can be a great one. That alone shows the benefits you can receive and in the end, it can pay off quite well for you. Do remember that it takes a little while to see results from this. So continue using it and don’t stop. In a few months you will surely see great benefits, and you can finally have glowing, full hair once again!